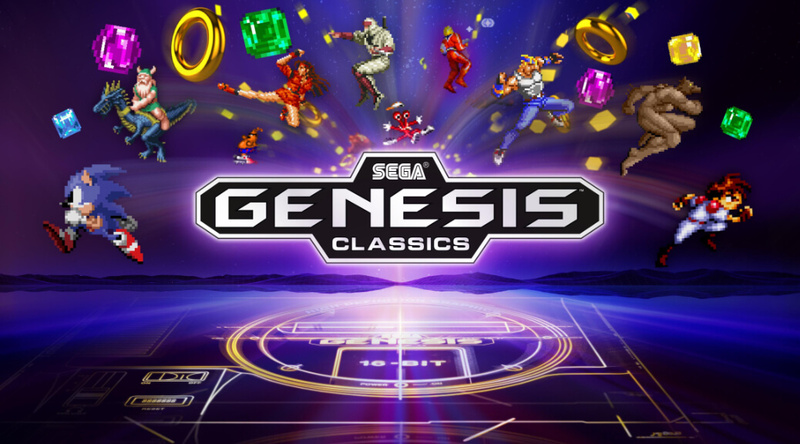 Sega Genesis Classics brings over 50 classic titles from the golden era of Sega to the Nintendo Switch all in one package. For the purpose of this review, I played every game on this title and I’m happy to report that there is a lot of fun to be had here – both for those looking for a nostalgia replay and those who have never played these classics before. As you can see from this list, Sega Genesis Classics has something for everyone – classic platformers to addictive puzzle games, fighting titles and more. Of all the games on offer in Sega Genesis Classics, the Sonic titles are the undoubtedly the biggest draw. There are four in total and each of them play exactly like they did back in the day. 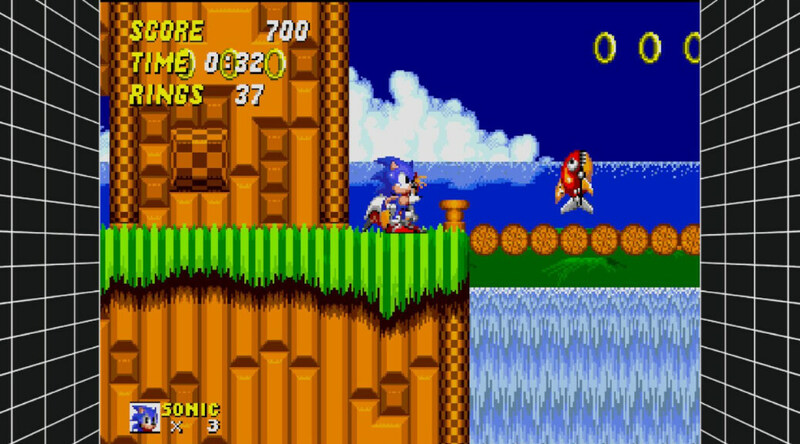 Hearing that opening music from Green Hill Zone brings back so many memories. There can sometimes be slight frame rate problems when you are hit by an enemy when playing in handheld mode but it’s not a big issue. All of these Sonic titles have aged incredibly well but one has to wonder why both Sonic The Hedgehog 3 and Sonic & Knuckles, both first party titles are missing in this package. One of the other great highlights on Sega Genesis Classics are the ‘Streets of Rage’ games. The concept of these games is so incredibly simple and yet decades later, they are still incredibly fun to play. Of the games available in this title that I’ve never played before, it was the Shinobi games that really stood out for me for their challenging gameplay and the ‘Columns’ games for their addictive puzzle gameplay. Not every game in this package are going to be loved by everyone, ‘Bonanza Bros’ seemed a bit naff and I didn’t find much joy in ‘Vectorman’ but about 90% of Sega Genesis Classics are quality games that have aged well and have retained that special quality that made them so great all those years ago. My only issue is that there are some classics from the Genesis era that are missing and I would have really loved to have seen them. Titles like ‘Castle of Illusion starring Mickey Mouse’, ‘Aladdin’ and ‘The Lion King’ were all titles I played as a child and while it’s obvious that licensing issues are the reasons why these titles are absent, I can’t help but wish they had been included. What’s more surprising is the omission of both Sonic the Hedgehog 3 and Sonic & Knuckles, both first party titles. It would have been cool if both these titles had been included in the Switch version of this game. But we can’t have it all can we? 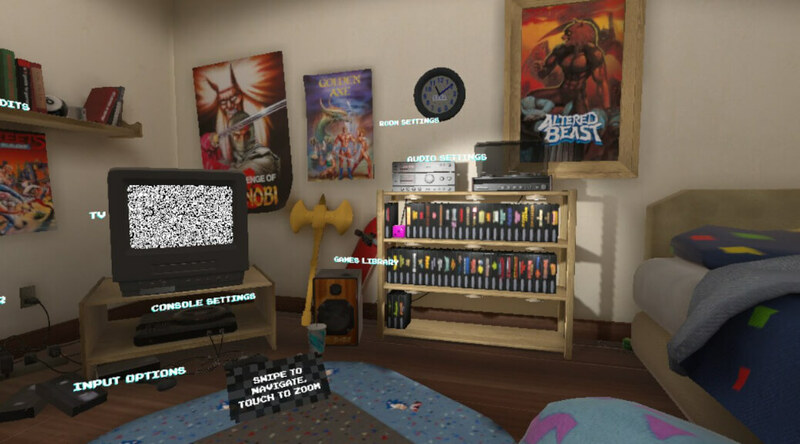 All of the games on offer here are wrapped up in a super cute home screen interface which looks like a kids bedroom from the nineties. There are Sonic, Golden Axe and Altered Beast posters on the wall, an old school CRT television all the Genesis games stored in a bookcase. It would have been cool if you got to see the box art when you selected a title from the shelf but in all, it’s a cool interface and I do appreciate Sega for putting some effort into it. As this is a review copy, I was unable to test the online multiplayer but it’s pretty great that you can play these classic games with either other players online or with friends locally. Sega Genesis Classics really does deliver on bringing tons of classic games from one of Sega’s finest eras to the Nintendo Switch. Not all of the classics are here but there is more than enough on offer to delight just about anybody making Sega Genesis Classics a fantastic present for your loved ones this Christmas. VERDICT: This soup is full of nostalgic flavour, one that you’re going to want to taste time and time again.